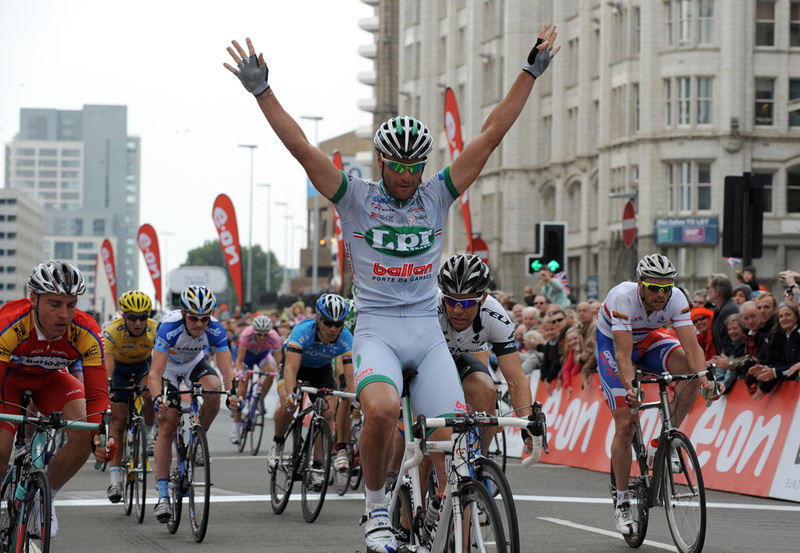 Frenchman Geoffroy Lequatre secured overall success in the Tour of Britain in Liverpool on Sunday. The Agritubel rider and his team controlled the racing during the final 110km stage, letting a three rider-break take away the bonus seconds at the first sprint in Southport. Steve Cummings (Barloworld) gained a second in a sprint on the high-speed finishing circuit in Liverpool but he failed to gain any other seconds and so finished second, five seconds behind Lequatre. Ian Stannard (Great Britain) did manage to pick up three seconds in the last intermediate sprint and so snatched third place overall from Ireland?s Dan Martin (Garmin). He finished 14 seconds behind Leqautre to secure his place in the Great Britain team for the world championships in Varese, Italy, later this month. Alessandro Petacchi (LPR) won the sprint in Liverpool to take his third sprint in his comeback race after his ban for overuse of his asthma inhaler. The CSC team led out the sprint for Matt Goss but Petacchi was faster and stronger on the slightly descending finish. Kiwi Julian Dean (Garmin-Chipotle) was second and Robbie Hunter (Barloworld) was third. Four British riders finished in the top 10 overall, confirming the growing strength in depth of British riders based in Europe and of the British based teams. 47 year-old Malcolm Elliot (Pinarello) was in the break that rode into Liverpool, while Rob Hayles (Great Britain) again raced his heart out and fought for fifth place in the sprint despite crashing during the six finishing laps in the centre of Liverpool. 10. Kenny Lisabeth (Bel) An Post all at same time.